iHeartMedia has become a major force in the mass media industry. It was founded under Clear Channel Communications when they purchased their first radio station in 1972. Today, iHeartMedia Inc. is the parent company of iHeartMedia Capital I, Clear Channel Outdoor Holdings (CCO) as well as iHeartMedia (IHRT) . iHeartMedia has the largest impact of any media platform in America, reaching 245 million monthly listeners through radio. Their reach expands to 150 different markets and ownership of 850 stations. iHeartRadio is a digital platform to listen to all iHeartMedia stations . The company proves to be very successful in the digital radio space. In 2014, Clear Channel Media formally changed its name to iHeartMedia. CEO Bob Pittman states, “The new name will reflect the company’s multi-platform presence and ability to embrace innovation and new technology” . This name change allows the company to align itself with the iHeartRadio name that consumers are familiar with. iHeartRadio is responsible for many live music events throughout the year, such as the Jingle Ball national tour, iHeartRadio Music Festival and iHeartRadio Awards. Radio is a still huge media outlet and continues to reach 91% of Americans ages 12+ each week . As of January 2016, iHeartRadio has 80 million register users and total listening hours grew by 30% . iHeartRadio has coined deals with some of the most well known on-air personalities such as Ryan Seacrest and Elvis Duran of New York’s Z100. Seacrest hosts of LA’s number one morning stations, 102.7 KISS-FM. He also hosts nationally syndicated programming with the broadcasts of On Air with Ryan Seacrest and American Top 40 with Ryan Seacrest . The iHeartRadio website and app provides “Live Radio“, allowing listeners to listen live to over 858 stations. They also provide “For You“, a feature that suggests stations based on the users preferred selection of genres. Finally, “Artist Radio” is a custom made station with songs by an artist selected by the listener and related music . Click here to view a Bloomberg video summarizing iHeartMedias debt crisis . Recently, iHeartMedia has been making headlines for their massive debt reported at the end of 2015. The company is reported to have approximately $20.6 billion of debt . In 2008 the company was bought by private equity firms Bain Capital Partners LLC and Thomas H. Lee Partners for $28 billion in a leveraged buyout. The buyout came during the economic recession and it was expected that in the coming years iHeartRadio would profit greatly . However since 2008, iHeartMedia has been battling to pay off debt. In response to the news, it was announced on March 8th that iHeartMedia Inc. hired Moelis & Co. as a financial advisor . Also on March 8th, many bondholders became displeased with iHeartMedia’s executive decision to move $500 million in assets to a subsidiary. As a result bondholders filed notices of default. These bondholders argue that in transferring their shares of Clear Channel Outdoor Holdings Inc. to Broader Media LLC, iHeartMedia violated debt agreements. This was done in an attempt to clear up some of their massive debt . In a press release issued on March 8th, iHeartMedia announced they filed a lawsuit in State District Court in Bear County Texas to prove their transfer of shares was done legally . On behalf of the company, Chief Communications Officer Wendy Goldberg states, “We believe our recent contribution of Clear Channel Outdoor Holdings Inc. stock to our subsidiary Broader Media LLC constituted a permitted investment under, and fully complied with, our financing agreements” . On March 10th, iHeartMedia was granted a temporary restraining order which rescinds the default noticed filed against the company. Moving forward, iHeartMedia and the bondholders, who issued the default notices, will have a court hearing before a judge. This hearing may determine how iHeartMedia will move froward in paying off their $20.6 billion in debt . The trial regarding this matter is set to take place in a Texas state court on May 16, 2106. The shares in question are valued at $1.2 billion  . On April 25, 2016. iHeartMedia Inc.’s stock (IHRT) closed at $1.18 per share. This is a major drop in price compared to June 2015, when it was selling for $7.50 per share. Subsidiary, Clear Channel Outdoor Holdings also saw a drop in stock price from a year ago. It closed at $4.88 as opposed to its price of $11.21 seen in April 2015 . In their Fourth Quarter and Full Year Report iHeartMedia stated a 3% revenue increase to $1.8 billion . On February 16th, iHeartMedia announced Brendon DelToro has been appointed to Vice President For Political Strategy. DelToro will aid in managing iHeartMedia’s relations with candidates and other political organizations. This year the company plans to have an iHeartMedia Campaign 2016 Command Center to keep track of over 2,000 elections in 150 markets. Brendon’s role will be to merge the political sales teams across iHeartMedia’s broad market reach . The goal of iHeartMedia’s engagement with the political campaign is to allow political and advocacy groups to have access to iHeart’s 80 million users. iHeartMedia is also planning on capitalizing on the 2016 election by having advertisers pay to place ads via radio rather than the traditional TV route. Candidates strive to target specific demographics, which is getting more difficult to do through traditional TV. Digital radio platforms, specially iHeartMedia can provide campaigns with data that is relevant for targeting the key audiences . Despite their well known debt and pending court hearings, iHeartMedia continues to hold their place in the music and entertainment industry. iHeartMedia celebrated their 3rd annual iHeartRadio Music Awards on April 3rd. This award show is primarily driven by fans and users of the iHeartRadio app to vote for nominees. On social media the iHeartRadio Awards generated 115 billion impressions. This number includes the promotional period of the show throughout the television broadcast. This massive number of engagements far exceeds that of other popular award shows such as the MTV Video Music Awards. Chris Williams, Chief Product Officer credits the shows success to the fan engagement and radio personalities involvement . This summer, iHeartRadio will also be hosting their iHeartRadio Summer Pool Party. Tickets to this exclusive event at Miami’s Fontainebleau will be given to listeners across the country through on-air contests. This years lineup will feature Kygo, Flo Rida, DNCE and Jason Derulo . Seasonal concert events such as the iHeartRadio Pool Party and Jingle Ball Tours are proven to boost listenership across iHeartRadio stations nationwide. iHeartMedia is a well respected entertainment company but struggles with being profitable, due to its burdensome debt servicing obligations. Looking ahead, iHeartMedia’s debt crisis and battle with bondholders will have an effect on the financial future of the company. Overall, iHeartMedia remains competitive in the digital radio industry against companies such as Spotify and Pandora providing similar services. One of the most well known radio personalities in the country. iHeartMedia is more than just the largest owner of radio stations in the United States. The company also specializes in digital media, outdoor advertising, and event production. The national events are used to promote their top notch radio personalities as well as the most popular music on the radio. 2015 iHeartRadio Music Awards logo, from NBC. IHeartMedia. Digital image. Brradio. Published September 16 2014. Retrieved April 17, 2015. Clear Channel Becomes IHeartMedia. iHeartMedia. Published September 16, 2014. Retrieved April 17, 2015. About iHeartMedia. iHeartMedia. Retrieved April 17, 2015. Hampp, Andrew. Clear Channel Changes Name to iHeartMedia. Billboard. Published September 16, 2014. Retrieved April 17, 2015. Station Search. iHeartMedia. Retrieved April 17, 2015. All Stations And Times. Tune In. Retrieved April 17, 2015. Overall U.S. Radio Industry Revenues Remain Steady at $14.9 Billion in 2014. BIAKelsey. Published April 1, 2015. Retrieved April 17, 2015. On Air With Ryan Seacrest Logo. The Drum. Retrieved April 17, 2015.
 iHeartRadio Awards Logo. NBC. Retrieved April 17, 2015.
 iHeartRadio Music Awards” Generates 14 billion Social Media Impressions. Digital Media Wire. Published April 1, 2015. Retrieved April 17, 2015. 2015 iHeartRadio Music Awards Generates More Than 14 Billion Social Impressions. Business Wire. Published April 6, 2015. Retrieved April 17, 2015. Clear Channel Outdoor Logo. Retrieved April 17, 2015. Company Overview. Clear Channel Outdoor. Retrieved April 17, 2015.
 iHeartRadio Grows Even More: How Will This Impact Sirius XM And Pandora? Seeking Alpha. Published June 27, 2012. Retrieved April 17, 2015. Sisario, Ben. Clear Channel Renames Itself iHeartMedia in Nod to Digital. The New York Times. Published September 16, 2014. Retrieved April 17, 2015.
 iHeart Media Surpasses 60 Million Registered Users Continuing to Demonstrate Accelerated Growth, Engagement and Strong Brand Awareness. Business Wire. Published January 23, 2015. Retrieved April 17, 2015. Marshall, Jack. iHeartMedia Will Sell Radio Ads Programmatically. Wall Street Journal. Published April 8, 2015. Retrieved April 17, 2015.
 iHeartMedia 2015 10-K. United States Securities and Exchange Commission. Published February 19, 2015. Accessed April 17, 2015.
 iHeartMedia Announces “iHeartMedia SoundBoard,” A New Multiplatform, Audio-Centric Branded Content Studio That Invites Brands, Talent and Fans To Join in Developing Original Productions. iHeartMedia. Published February 3, 2015. Retrieved April 17, 2015. 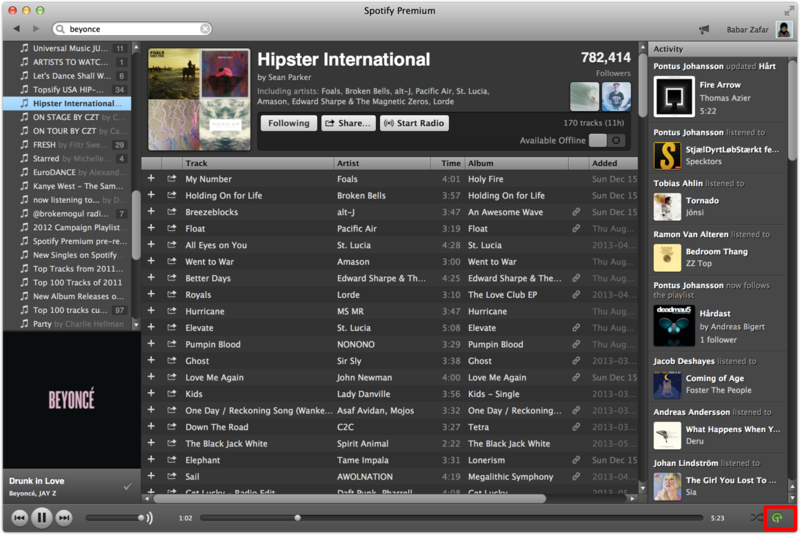 Spotify’s sleek interface layout for their multi-platform service. Rdio, Pandora, Rhapsody, Google Play Music, Beats, iTunes Radio, Music Unlimited, and Xbox Music are worthy contenders in this competitive space. Product reviews assess service quality with major factors include song catalog, user interface, support, and features. Each racing for a market share, these top players in the market are making strategic ploys to stay afloat. Spotify engages their target audience: college students and 18-24 year-olds. Spotify’s tenacious grasp on college students’ listening is reflected in their recently released research report of the Top 40 Musical Schools in America. The findings are a close study of the musical norms in the schools. Detailed graphs document music-genre distribution and listening spikes, showing not only what students listen to but also how they listen. The stories are media clips that are charged with emotion, and of course, music. Don’t Go Chasing Girls is about a man’s early memory of his childhood crush that is easily triggered with TLC’s hit song, Don’t Go Chasing Waterfalls. Stories and songs are updated and posted on a live feed. 1. The dubbed Video Takeover, only available on desktops, allows brands to takeover the screen during 15-30 second advertising breaks. McDonald’s format and utilization of Spotify’s advertising product – Video Takeover. Research shows that 1.5 million Australians stream music from their mobile devices. 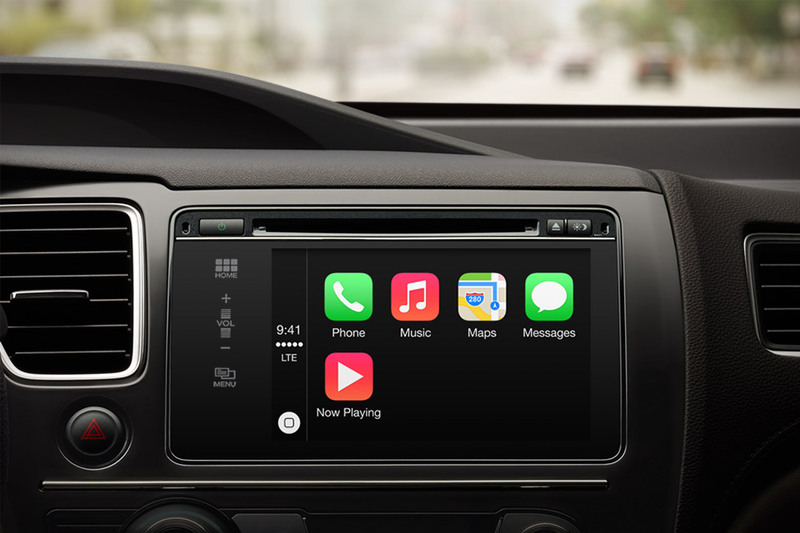 Spotify collaborates with Apple Carplay to incorporate music services in the latest car models. Spotify and Uber modernize the standard cab-ride as they join forces to create a new listening experience. Taylor Swift is a firm believer in the value of music, and that it should not be free. Swift has pulled her music catalogue from Spotify. It is unlikely that many artists will join Swift’s banning of the digital streaming business, as it is the digital age. Reports confirm that streaming services grew 28% in the first half of 2014. Listeners’ habits changed; artists can sink, but digital streaming services will swim. Spotify’s name is globally recognized, and Spotify’s services are well integrated into the new digital age. Its key strategies and partnerships keep it on the bleeding edge of the music industry. Sirius XM Holdings Inc. is a satellite radio service that offers commercial-free streaming on over 175 channels in the United States and Canada. These channels are comprised of every type of radio – music, news, sports, talk, and more . It is currently the largest radio broadcaster and caters to about 26.7 million subscribers . Currently, the most popular way for subscribers to enjoy SiriusXM Radio is in the comfort of their cars. SiriusXM has arrangements with over forty automakers for installation of their services directly into the vehicle . However, as of recent, SiriusXM has become available to stream directly online in your home or office, as well as an app that can be accessed on Smartphones and Tablets. SiriusXM currently offers three different packages: Sirius Select, Sirius All Access, and Sirius Mostly Music. The packages can be bought on a monthly or annual basis and range in price from $9.99 to $199 . SiriusXM recently released their 2014 Third Quarter Results, which revealed a 10% increase in revenue since this time last year, putting the company at a record high of $1.1 billion. This is higher than analysts originally anticipated for the company, as they put the company’s assumed revenue at $1.04 billion. The company also increased its subscriber count by 1.2 million . Interest in shares of SiriusXM increased rapidly during the month of November. As of November 14th, there has been an increase of 2.8% since October 31st up to 247, 283,696. The company is now up to a $3.75 price on their stock . SiriusXM’s current competitors are Apple and iHeartMedia, as well as regular terrestrial radio. Pandora and Spotify have also been named as competitors, but in a recent interview with James Meyer, CEO of SiriusXM, the two services were ruled out. Meyer explained these companies are streaming services, which he doesn’t view as competition, but as its own distinct technology. Meyer also stated that out of them all, terrestrial radio is their primary competition, with 220 million people that use it everyday . 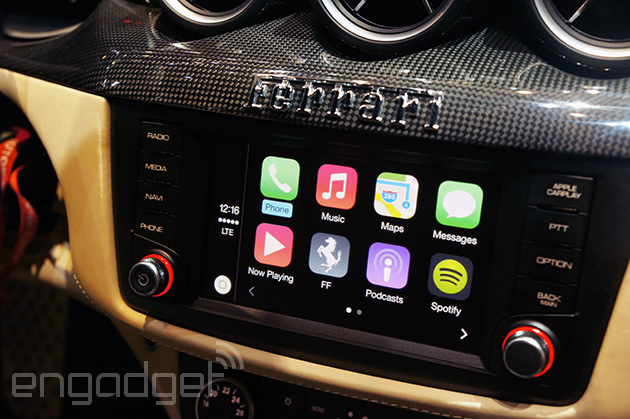 However, with Apple’s new CarPlay, that might not be the case for much longer. CarPlay gives drivers access to all of their music, podcasts, and audiobooks with the touch of a button, and major auto companies like Mercedes-Benz, Volvo, and Ferrari are already on board. The venture is still in its early stages, but since SiriusXM is primarily used by vehicle subscribers, CarPlay could end up being a serious competitor . What sets SiriusXM apart from its competitors at Apple, and iHeartMedia is the company’s original content that can only be accessed through subscriptions to SiriusXM. 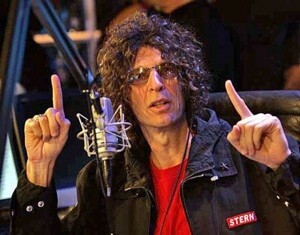 Some of the most popular original content shows include The Howard Stern Show, The Oprah Winfrey Show, and NFL Radio, although many more are available . This original content helps keep subscribers tuning in, and keeps SiriusXM’s churn rate at an impressive 1.9%. It also helps the company keep their acquisition costs low, which has recently become problematic for companies like Pandora . SiriusXM is also known for their “Town Hall” Series. These intimate gatherings take place in the SiriusXM fishbowl, a private listening studio, where entertainers sit down with a live studio audience comprised of about 30 SiriusXM subscribers who have won an invitation to the event . Recently, SiriusXM was able to snag Taylor Swift for a Town Hall Event. Subscribers had the chance to ask her questions and listen to songs off of her newest album, 1989. This event comes after Swift’s recent decision to pull her music off of Spotify, giving even more leverage to SiriusXM . This past year, SiriusXM announced a major deal with NBC, in which simulcasts of the hit NBC show, The Today Show, would be broadcasted on the satellite radio service. The format of bringing a morning show to radio has been done before, unsuccessfully. However, what makes this different is that SiriusXM will not be airing segments of the popular morning show, they will be airing the program identically as it airs on television . This move was a strategic boost for both companies. The show airs during popular morning drive time, when radio listening is at its highest. The deal will allow NBC to access SiriusXM’s 26 million listeners, and SiriusXM hopes to draw in more subscribers that are already fans of the show. SiriusXM has come under fire in the past year over use of music recorded before 1972. More recently, individual bands have started going after the company, claiming that they deserve compensation. Although songs recorded before February 15th, 1972 are not covered by federal copyright law, some artists and labels have been seeking protection under individual state laws – and the courts have been agreeing. As of November 17th, the 1960s rock band, The Turtles, has had two victories against the satellite radio company . The court ruled that music recorded before 1972 still has a public performance right and that digital services cannot use it without permission or compensation. SiriusXM has requested to dismiss the lawsuit, but it has been rejected. The judge ruled that SiriusXM has until December 5th to show any factual issues that would be cause for a trial. If none are found, she will rule in favor of the band, and “assess damages” . SiriusXM recently announced that Golf Hall of Fame member Sir Nick Faldo will receive his own show, where he will talk golf and get to know golf enthusiasts, while they get a chance to know him . SiriusXM also launched a new pop channel, Venus, as well as adding some of their popular internet only channels like Y2Kountry and Utopia to their satellite lineup. Joel Osteen Radio will also be coming to SiriusXM, a station rooted in the power of “positive thinking with messages of inspiration” . SiriusXM is currently celebrating the sounds of the holiday season with the addition of two new Holiday Music channels, Holly and Holiday Traditions. They plan to release more within the upcoming month . Also effective January 2015, there will be an increase of 1.4 percentage points in the U.S. Music Royalty Fee applied to most SiriusXM audio packages, in order to fund royalty payments to the music industry . Radio One, Inc founded in 1980 and officially incorporated in Delaware MD is a multi-media company targeted towards African-American and urban consumers. In the U.S It is the largest African-American owned corporation of its kind. Specializing in radio broadcasting, the company presently owns and operates 55 broadcast stations in 16 of the country’s major urban markets. These markets include 6 of the top 10 Abitron ranked African-American radio markets in the U.S.: Atlanta GA, Washington D.C., Philadelphia PA, Houston TX, Dallas TX, and Detroit MI. History: Radio One was founded by the inspiring and passionate Catherine (Cathy) L. Hughes in 1979. As a 16 year old mother Catherine Hughes was kicked out of her parents home and forced to fend for her and her child’s own well being. This tribulation sparked her tenacity to become the media mogul she is today. Hughes was born in Omaha Nebraska in 1949. Her first experience with the radio industry was in 1969 when she scored a position at KOWH, a black radio station in Omaha. She was recognized by the Howard University of Communications in Washington D.C. for her accomplishments at KOWH and offered a job as lecturer and assistant to the dean in 1971. In 1973 she became the general sales manager at the University’s radio station WHUR where she brought the stations revenue from $250,000 to 3 million in just her first year. By 1975 Hughes had become the Vice President and general manager of the station. Eventually in 1980 with her husband of the time, Dewy Hughes, Cathy bought her own station; radio WOL-AM (D.C.) with a bank loan she finally attained after being rejected by 32 banks. [Here she curated her own content: “24-hour talk from a black perspective”. This marked the creation of Radio One. Her acquisition of WOL proved to be her most challenging but also most successful venture. After divorcing her husband shortly after buying the station, Cathy bought his share of WOL and therefore struggled a great deal financially.In an effort to keep her business a float Cathy moved out of her apartment with her son Alfred C. Liggins and made a home at the radio station until 1986 when the station started making a profit. 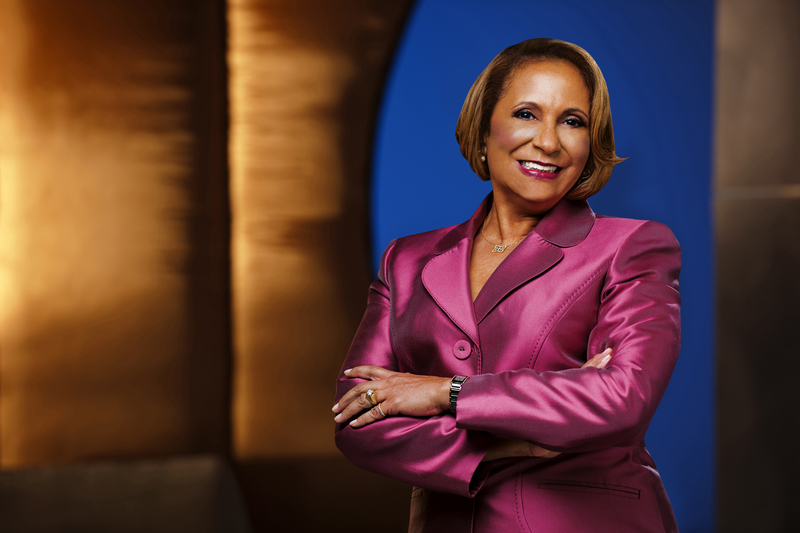 In 1997 Cathy appointed her son Alfred C. Liggins III as CEO of Radio One. After receiving an MBA from Wharton School of Business Alfred urged his mother to advance and go public with the company. On January 1st, 1999 Radio One Inc. (ROAI) went public with an offering price of $24 for 6,500,000 shares. As compared to broadcast companies at the time such as Citadel and Beasley this was a large IPO.In the years that following1999 Radio One has acquired multiple subsidiaries and crossed platforms in an effort to expand their reach. TV One: On january 19, 2004 Radio One (51%) launched a joint venture with Comcast Corporation (49%) called TV One. TV One is a cable network which seeks to target the African-American consumer by providing news, sitcoms, reality TV, and big studio movies from an African-American perspective. The stations most well known program Unsung tells stories of the most influential R&B and Soul artists of our time. As of August 2013 the station has proven to be present in over 57 million households (50.28% of households with a television). Reach Media Inc: On February 3rd 2005 Radio One acquired 53.5% ownership interest of their current subsidiary Reach Media Inc. Located in Dallas, TX and founded in 2003 by Urban radio talk show host Tom Joyner, Reach Media is built around the strong marketing muscle that is the Tom Joyner Morning Show. The Tom Joyner Show is present in over 100 markets and reaches approximately 8 million listeners. Reach Media seeks to create and manage on-air and online content that entertains their consumers and provides a successful vehicle for advertisers. Interactive One: Radio One crossed the digital platform when they founded Interactive One (iOne) in 2007. Interactive One operates several online brands targeted towards an African-American and latino audience including BlackPlanet.com: a social networking site, Hellobeautifull.com: a lifestyle site for black women, NewsOne.com a news source providing content pertaining to African-Americans, TheUrbanDaily: a pop culture/ entertainment media site, and GIANTlife.com: a celebrity focused news source. Interactive One’s headquarters are located in New York, New York. Radio One is indicated on NASDAQ as ROIA. 2013 Quarterly data shows that during the first and second quarters of the year Radio One saw an increase in earnings: Its March gross profit of $68,639 to its June gross profit of $86,705. It then took a steady decline however in the third and fourth quarters as its September earnings were $81,112 and December earnings were $74,223. Despite the last half of the years quarterly decrease annually the company is seeing an increase from their final 2012 year gross profit of $288,599 as 2013’s annual gross profit is $310,679. 50.2% of the company’s net revenue in 2013 was generated through radio advertising dollars. Radio One has been seeing a steady increase annually since 2011. April 14th, 2014 – Radio One will be hosting a conference call to discuss 2014’s 1st fiscal quarter. Investors, analysts and other interested parties are invited to join. The call is set to occur on May 8th, 2014 at 10:00 am EDT. April 9, 2014 – Radio One is partnering with Atlantic Records to provide one lucky listener from a radio one radio market with the chance to win a prom date with R&B singer Sevyn Streeter. 1,000 dollars towards prom expenses will be awarded to the winner, Sevyn will provide a musical performance during the event, and a limousine ride too and from prom will also be included. January 27, 2014 – Radio One is offering $335 million in aggregate principal amount of senior subordinated notes due 2020. The offering is exempt from registration under the securities act of 1933. The company says that they plan to use these proceeds to redeem its currently outstanding amounts under its senior subordinated notes due 2016. The 2012 partnership between Clear Channel Communications and Ryan Seacrest Media acquired Clear Channel programs like “Keeping Up With the Kardashians” and “Jamie Oliver’s Food Revolution”. In addition to the Kardashian shows, Ryan Seacrest Media has plans to bring in new programming. This includes two new Reality Television Series’ including CMT’s “Melissa and Tye: A New Reality” and Bravo’s “Shahs of Sunset”. Clear Channel Media and Entertainment and Relativity are to collaboratively create multi-platform campaigns for all relativity films. With Clear Channel’s wide audience and cross-media platforms, and Relativity’s content, Clear Channel hopes to create high profile one of a kind marketing plans for entertainment distribution. In March of 2014, Pandora announced a brand new partnership with Peet’s Coffee & Tea. “Peet’s Coffee & Tea, a premier specialty coffee and tea company, and Pandora, the leading internet radio service, announced a new partnership which marks the first time Pandora will feature partner branded radio stations in a brick-and-mortar environment nationwide” (Pandora) . Peet’s coffee will now play its own customized radio stations in all of the stores across the United States. What makes these stations unique to Peet’s is that they will all be curated by a 25-year employee and music aficionado Patrick Main, not to mention the fact that the new Peet’s stations will be available to all Pandora listeners. Peet’s will have four personalized stations that are meant to pair well with their coffees using music outside what is played on mainstream radio. The stations include Peet’s Melodic Indie meant for bright and fresh coffees, Peet’s Jazz Giants reflecting Peet’s Italian Roast and espressos, Peet’s Origins which enhances Peet’s earthy African blends, and finally Peet’s Eclectic Classical station that should be paired with Peet’s French Roast. This partnership is quite the impressive business venture for both Peet’s and Pandora. Peet’s will be able to compete with the music in rivals like Starbucks that already has a partnership with Apple and iTunes. Pandora will also benefit as they are trying to compete with other streaming services like Spotify and Rdio. Peet’s customers hopefully will enjoy the musical selections in Peet’s coffee shops which will help Peet’s retain customers and help Pandora gain more subscribers. This partnership could be the first of many for Pandora as they attempt to gain more market share in the online streaming world. Although Pandora has been doing very well recently in terms of subscribers and partnerships, they have also gained a lot of negative press in regards to their catalog and royalty payments. In April of 2014, the three major labels Universal Music Group, Warner Music Group, and Sony Music Entertainment, along with indie labels ABKCO and RIAA, filed a copyright infringement lawsuit in New York state court against Pandora. The suit on Pandora is for playing pre-February 15, 1972 recordings without making any royalty payments. “The labels say both digital music services (Pandora & SiriusXM) take advantage of a copyright loophole, since the master recording for copyright wasn’t created federally until 1972. But the labels claim that their master recordings are protected by individual state copyright laws and therefore deserve royalty payments” (Christman) . Michael Huppe, the CEO and President of SoundExchange, a non-profit performance rights organization, estimated that artists and labels have lost 60 million dollars in royalty payments for pre-1972 songs in just 2013 alone. Pandora also recently announced that they will be taking open music submissions. This will now make it easier than ever for independent artists to get their music out to over 70 million active listeners on the site. This is an initiative that Pandora will continue to pursue in the coming year in hopes to give independent artists a chance to reach a bigger audience. All independent artists need to do is submit their material digitally online for consideration. Pandora has a bright future in the online streaming world if they can solve their differences with record labels and songwriters. Their initiatives in the consumer space, like with Peet’s Coffee, and their goals to help independent artists will make them a more attractive destination for music listeners to go to for content. The most updated visuals of the Spotify application on thee platforms. Users have an on-demand stream of music on their computer, mobile device, tablet, and home entertainment system. Spotify is a music streaming service that puts users in control of 20 million licensed songs . Spotify was launched in Sweden in 2008 and came to America in 2011. Spotify is financially a private company that offers over 20,000 new songs each day from major and independent labels including EMI, Warner Music Group, Universal, & The Orchard . Artists earn royalty when their music is played, and there are over 24 million active users currently in 55 markets . There are two revenue streams, free, which is “powered by advertisers” and premium for $9.99 monthly with extra features including no ads, offline, and high-quality audio . Spotify gives its users the option to connect with their social media Facebook, Twitter, and Tumblr accounts. Users can create collaborative playlists, share music, view friends music and more which provides for ample music discovery and publicity for the company on social media platforms. There is also a private session users can activate. Two other elements that Spotify includes are apps and Discover. While these apps add dimension to the Spotify journey, Discover is essentially a constantly updated news feed. Spotify is a strong contender, but it’s competing neck and neck with Rdio, Pandora, Rhapsody, Google Play Music, and Beats on price, catalogue, platforms, and features . Beats Music entered the competitive on-demand music market in January , and is Spotify’s biggest challenger. Beats Music vs. Spotify- The two streaming services are extremely similar with the same catalogue size, the discovery element, and price. Beats entry in the market put Spotify in “go-mode”. Competitor streaming services are continually emerging. With more choices presented to consumers, Spotify has responded by shifting their focus to partnerships, acquisitions, customer satisfaction, and updated product development. The formula is to attract users to Spotify, engage with users, and retain them. Last.fm is a music recommendation service. In January, Spotify and Last.fm teamed up to bring a beneficial on-demand playbar to Last.fm’s website. This makes it possible for Last.fm users to internally play the entire Spotify catalogue on Last.fm’s website . The collaboration works in both companies favor. Last.fm users have a fuller experience with the power, “to play whatever you want by whoever you want directly on Last.fm” . In addition, Spotify’s catalogue incorporation provides a huge presence and Last.fm users conveniently have motivation to signup for Spotify to take advantage of the essential music player. Spotify also joined forces with SoundHound for the “Add to spotify” feature on its iOS application in February. SoundHound is a popular music-recognition app, similar to Shazam. Banded together, SoundHound is now more interactive. After linking accounts, with the tap of a button users can automatically generate Spotify playlists of recognized songs without leaving SoundHound’s app . The mutually-beneficial relationship brings life to identified songs through Spotify playlists on SoundHoud, and the incentive to use the button will drive users to subscribe to Spotify while giving them presence on a music app . On top of that, Spotify was presented with an amazing opportunity to have presence on site at Coachella as the Official Digital Music Partner of the Coachella Music and Arts Festival in California in April. The Spotify Social tent was an on-site air-conditioned tent that offered relaxation pods, chargers, a “Mosaic Photo Booth” that uses your Spotify account to generate a picture out of your most played album art, and art from artist Apex . The Spotify Social tent, that capped at 150, gave people an air conditioning experience filled with music, more battery power, art, and a Mosaic Photobooth that puts your face on album covers based on your Spotify listening habits. #WeWereThere was Spotify’s digital interactive strategy at Coachella to “connect, collect, share.” Implanted in every RFID wristband was the power to capture the experience by checking in and collecting custom Spotify curated playlists. The “My Coachella Story” digital snapshot let individuals create memories of their festival concert experiences with playlists gathered . This collaboration not only transformed Coachella goers into premium users, but also created a special experience and built relationships by reliving the festival on Spotify. “My Coachella Story”- an example of a digital snapshot that shoes distance traveled, the path taken, playlists, artists seen etc. To participate users needed to simply connect their wrist band with their Spotify accounts, look for check ins at the festival, use the wristband to collect playlists and then after generate their digital card and share it with family and friends. Lastly, Beats launched with an AT&T package family plan deal. Rumors are circulating about Spotify planning to bundle with the #3 U.S. mobile carrier, Sprint  in April. This partnership will give Sprint customers a free trial. Customers will be able to pay for Spotify directly through their Sprint Accounts, which will help Spotify secure a greater market share and Sprint secure more data plans. Sprint and Spotify will announce the details on April 29th at a New York Event . In efforts to boost the “discovery” element, Spotify acquired The Echo Nest in March . The Echo Nest is a music intelligence company that examines listening behavior and makes musical recommendations. Spotify paid $100 Million, with 90% Spotify equity . The Echo Nest previously powered Rdio and Rhapsody, both of which ended their deals, deeming its technology invaluable to their operations right after Spotify acquired . This potentially puts Spotify in the position to take The Echo Nest away from competitors. Combing the two companies gives The Echo Nest a bigger audience and catalog, while Spotify, now with music-discovery data, will improve recommendation’s. 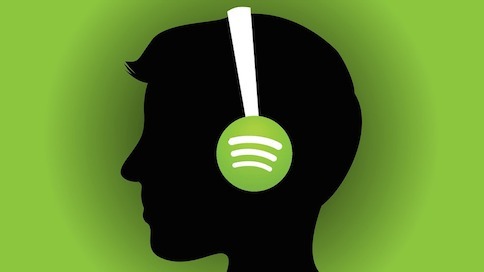 With intentions to obtain more paying users Spotify has updated its business model. In January the company announced free music shuffling on iOS with a catch, non-premium users ads play in between every few tracks . In February, Spotify added the “repeat one” feature . Repeat one grants users the option to repeat a single track over and over . These highly requested changes illustrate that Spotify cares about users. Working with a college students budget, Spotify slashed the premium $9.99 monthly rate to $4.99 in March . They partnered with SheerID to validate eligibility. This price change is valuable because college students represent an important key demographic in streaming use . This differentiates Spotify from other streaming services like Rdio and Beats that charge $10 monthly. 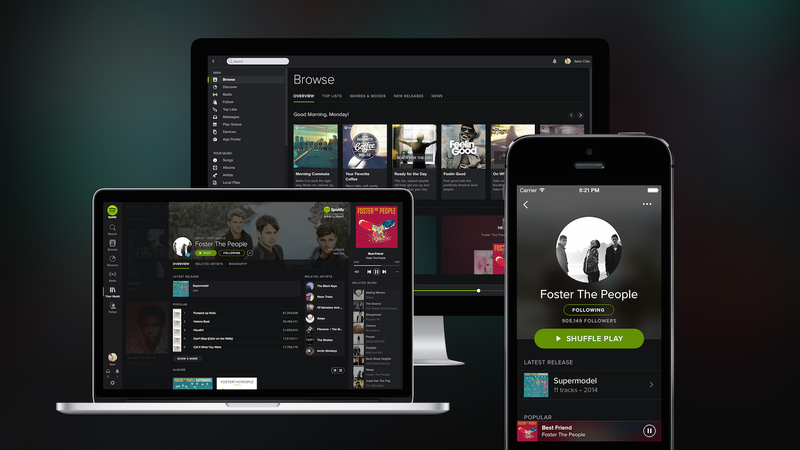 Competition among streaming services leads Spotify to completely redesign its user interface layout on all platforms. Spotify rolled out a sleek modernized look on April 2nd. This major design update was the first since its launch in 2008, and to keep current it was a smart move . The new dramatic, dark color scheme highlights important buttons, includes circular images for people, and features square album shapes . The browse tab is revised and categorized between top lists, releases, news, and moods. “Your Music”, a collection of users saved albums, songs, and artists is a new addition . The Your Music addition mimics iTunes library and it is comparable to Rdio’s “collection” feature. It helps users save, organize, and browse through their favorite music. The new layout feels unified and balanced, and should attract new users . Spotify is headed in the right direction, but with downloads declining, new rival services like YouTube, Apple, and Amazon that have huge user bases are joining the streaming market . Being active puts Spotify in the forefront, which looks great for Investors. It is rumored that an IPO is in Spotify’s near future. Though the company has declined all comments, a job advertisement for an “External Reporting Specialist” has been posted on their website and LinkedIn . Their future looks competitive but successful. Paying subscribers of top streaming services. Image courtesy of Digital Music News. Above is a photo of Tesla Motor’s in-dash touchscreen display. The Rdio client in the in-dash display will likely mirror the iPad application. This will ensure a positive and easy user experience. The Rdio lay-offs in late 2013 indicated that the company was struggling financially. However, it seems that the streaming service is doing better because they had sufficient funds (although we do not know the exact number) to purchase the Indian music streaming service: Dhingana. Dhingana was founded in 2007 by brothers Snehal & Swapnil Schinde, and Sushil Choudhari. Dhingana primarily streams genres of Indian music boasting a catalog of over one million songs in 42 languages. Dhingana has other Indian competitors including Saavn and Gaana. Dhingana has approximately 10.5 million monthly users; the acquisition will add significant traction to Rdio’s numbers. Image courtesy of The Guardian. Dhingana announced the acquisition on March 14, 2014 via their website and shut down the service. According to the press release, the Dhingana team will be working with Rdio to launch the service later this year. Rdio CEO, Anthony Bay, was quoted in Billboard Magazine, “India is a tremendously vibrant market for music and culture and one of the largest and most important in the world,” Bay’s strategy seems to be to expand their service in emerging markets, like India . Part of the Schinde brothers and Mr. Choudhari’s initiative at Rdio will be to expand into other emerging foreign markets. Location: Corporate Office – 1010 Wayne Ave.
April 8, 2013 – Radio One Selects WideOrbit Inc.